On April 19th, 2005, Dr. Phil hosted a show about kids and bullying. The guest for the show was Clay Aiken. 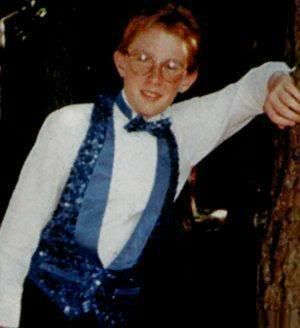 Clay Aiken got picked on and bullied as a kid, but found his gift, embraced it and changed the experience of his life. He shared part of his story on the show and in his book, Learning to Sing. The following excerpts of Clay’s book make you really think and question how one small boy could survive so much. Yet, as an adult, Clay was able to find out who he was and develop into a person who is comfortable and happy with whom he became. When I was young, I was teased by other kids like it was their job. I recall riding the school bus and always sitting in the seat right behind the bus driver. I would talk his ear off and hope that the kids behind me wouldn’t tease me and that if they did I wouldn’t hear it. I wasn’t very popular in grade school. I had friends, but they were kids like me — geeky, shy, unable to fit in. I was a different sort of kid. Some of it came — and I hope my mom won’t get upset by this — because I spent a large chunk of my childhood around nobody but adults. Middle school was the worst. Middle school is where everybody goes through that change, trying to figure out who they are. Kids feel threatened at that age. Feeling threatened, I became somewhat reclusive. It made me a little bit quieter, and I tried to stay out of everybody’s way. When the bullies felt threatened, it meant that they were going to go on the offensive, and who better to go after than the quiet kid in the corner? There was this game called Wall Ball that kids liked to play. The slowest kid would end up standing against the playground wall and the other kids would pelt him with a ball. One guess who that might have been. Those boys learned pretty quickly that I wasn’t going to fight back and I wasn’t going to tattle on them. The nicer I was, the bigger the target on my forehead. The high road left me defenseless. And the mockery only got worse. I got it all. But the thing is, the more I took it, the less I cared. Being harassed became a part of my day, and I accepted it. I know it sounds sad now, looking back, but at the time I wasn’t analyzing it. I was just living my life. I think the bullying helped me figure out at an early age that stuff is going to happen to you that you wish wouldn’t. People are going to treat you badly, and ultimately that is out of your control. Excerpted from Learning to Sing by Clay Aiken with Allison Glock Copyright © 2004 by Clay Aiken with Allison Glock. Clay was not alone in being bullied as a child. Recent studies suggest that about one-third of U.S. students aged 12 to 18 have been subjected to some form of bullying. Much of the harassment now takes place online, where the bullies find it easier to hide behind hurtful e-mails, texts and Facebook posts. Although as many as 40 states now have laws on the books that address bullying, much of the responsibility for prevention still lies with schools and the administrators that oversee them. Despite the recent focus on bullying, some far-sighted schools have had anti-bullying programs in place for years. The best involve the entire school community, with kids, parents, teachers and other staff trained to recognize and report bullying and take preventive measures as soon as possible. One of the most popular programs currently in place is the Olweus Bullying Prevention Program, a system developed in response to the suicides of three Norwegian boys back in the 1980s. Dan Olweus, a pioneering bullying research professor, used the results of his studies to create a prevention program that has been in use ever since. The system aims to reduce incidences of bullying and improve the overall atmosphere of a school by fostering warmth, a positive outlook, and a zero-tolerance policy from involved adults. Over 32 public schools in Philadelphia have adopted the program. Other schools from Virginia to Arizona have reported encouraging results, including a school in California that recorded a 21% decrease in reports of bullying just one year after implementing the prevention program. Bullying experts agree that more important than giving a special name to variations of the same anti-bullying best practices is committing wholly to the effort. The more adults who are aware of and willing to speak up against bullying, the safer children will be everywhere. Thank you, Clay Aiken, for sharing a part of your life with us. So many people can learn from your experiences and you are an encouragement for children who are bullied. The following video is part of the Clay Aiken/Dr.Phil Show. 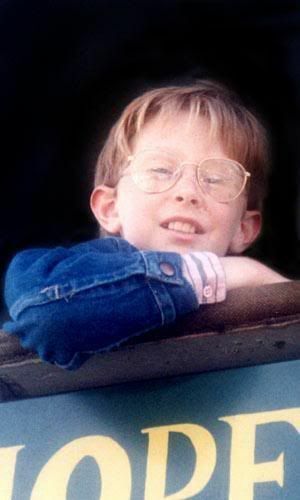 It always breaks my heart to hear about the bullying Clay had to endure as a child. I guess the silver lining of the story is that it made him the wonderful, compassionate person he is today and prepared him to deal with the tabloid trash he's always had to deal with since AI. So glad you brought this story and video back to us. It's so meaningful today, with all the bullying going on in our schools. I hope Dr. Phil either reruns this segment or, better yet, has Clay back on to discuss the issue. Clay's bullied childhood prepared him for the bullying he's handling so well these last seven years. What a tremendous guy! Musicfan, I must commend YOU for the magnificent job you're doing keeping us up-to-date on everything Clay. After Chexxxy's, you're the very next site I visit every morning. It's always a pleasure. Thank you for the kind comment. I really enjoy writing here and hopefully, people will read!! I just bought the audiobook on itunes and listened to it. Have read the book but first time listening to Clay reading it. Touching, inspiring, thoughtful and honest. It's a gem of a book, and he sure is a treasure. I am thankful that Clay was able to share with everyone the problems he faced growing up, in hope that it will help others…But that is just like Clay isn't it? Always the teacher. Thanks Musicfan for this great article…Now more than ever, it is so important. relate to to teenagers/children about what is happening now. As Judy said -He is always the teacher. Thanks for bringing his Dr Phil visit to us again to view. Thank you for another thorough, well-researched blog on such an important subject. The climate of hatred permeating this country's society makes bullying all the more acceptable by teens and children. 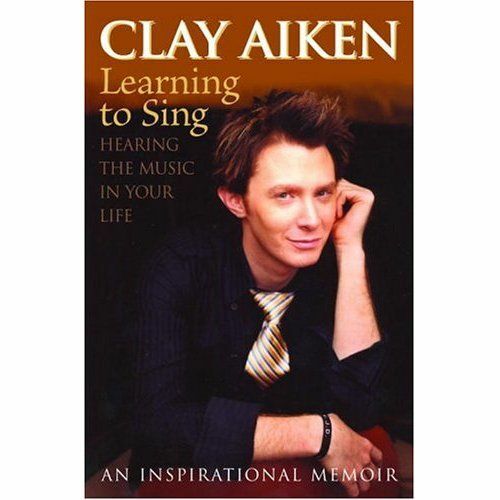 Clay Aiken's book, "Learning To Sing" goes a long way in addressing the problem, and he is an excellent spokesperson. I hope ears and hearts will be open and receptive. Thank you for your thoughtful remarks in the Carolina blog. Have a great week! Another wonderful blog! Kudos. Clay Aiken has some really dedicated and talented fans. There are several blogs I can name that are excellent. This is one of them! Thank you! Thank you for a very informative blog. I was really inspired but at the same saddened whey I first read Clay's book. Unfortunately, it seems that the bullying continued since his success with AI. I always said that those who bully are suffering from insecurities themselves. I'm sure Clay's rough childhood is a big part of the reason Clay stands up for the children of the world today and is so willing to come to their aid. thank you for your wonderful blog musicfan123. it made me cry. i think it did help prepare him for all the people who are constantly picking him apart. i wish they would just stop, he is one of the most beautiful, caring human beings in the whole world. i recently bought the audio for learning to sing, too. i've been listening to it everyday. it's wonderful to hear clay's voice. I could not get the book, but I've heard a lot about it. I hope to read soon. Thank you for a very informative blog. I was really inspired but at the same saddened whey I first read Clay’s book. Unfortunately, it seems that the bullying continued since his success with AI. I always said that those who bully are suffering from insecurities themselves. Error: Error validating access token: Session has expired on Tuesday, 21-Aug-18 16:13:01 PDT. The current time is Friday, 26-Apr-19 02:27:42 PDT.